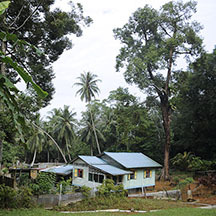 Ubin villagers live life in the slow lane. The island lacks a general supply of electricity and running water and modern sewage systems. This probably led to the exodus of residents as industries on Ubin, such as quarries, ceased. But it added to the charm and rustic character of Ubin.